A number of these BRICKS are expected to be on multiple nodes (Master MCUs - ESP8266 or ATTINY84) on a site. The MCU needs no prior knowledge of the sensors purpose or software needs. It scans for I2C nodes then requests a property dump (sensor data) from each slave. These BRICKs supply 5.0V, 3.3V and another line for an upcoming sensor voltage standard (1.2V/1.5V/1.8V/2.5V). 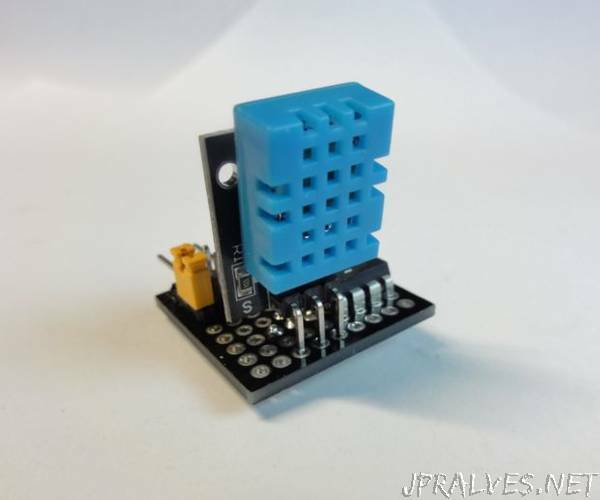 This I2C DHT11 BRICK dumps 5 properties: Humidity (%), Temperature (C), Temperature (F), Temperature (K), Dew Point (C).